ATLANTA, G.A. (December 20, 2011) – Franchisee, Steve Snyder, is bringing a renewed focus and energy to Moe’s Southwest Grill in Phipps Plaza. Moe’s closed for several months to relocate and renovate. The remodeled and refreshed restaurant now features 30 seats and is now conveniently located beside the movie theatre and close to the future home of Legoland. Moe’s welcomes all guests old and new to come experience these improvements first hand. 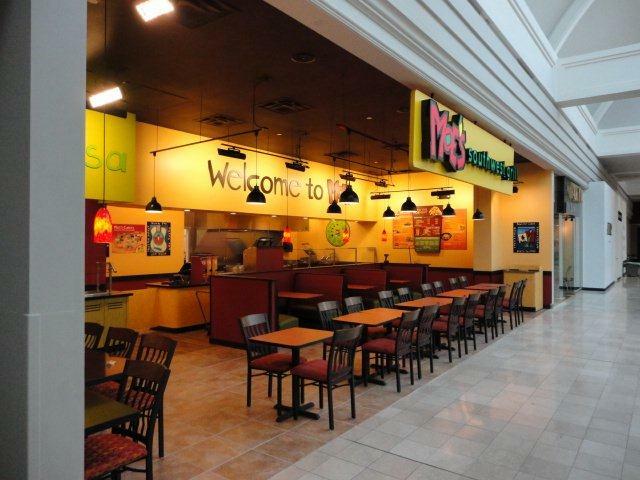 Guests can enjoy a large variety of Moe’s free salsas at the brand new salsa bar, and relax on new furniture. This location offers a Moe Monday special which includes any burrito, chips, and salsa for only $5.00. Moe’s Phipps Plaza located at 3500 Peachtree Road is open from Monday through Saturday 11 a.m. until 9 p.m. and Sunday from 12 p.m. until 5:30 p.m. For more information or to place a catering order, guests may call 404-237-2370. Paramus, NJ (December 1, 2011) – “Welcome to Moe’s!” will soon be heard throughout Paramus when Moe’s Southwest Grill opens at 175 Route 17 South on Thursday, December 15. Only at the Moe’s in Paramus, guests can follow up any meal with a rich, creamy, handmade Carvel Ice Cream cup, cone or Thick Shake. Guests can also try the new Coca–Cola Freestyle® soda fountain. The sleek, stylish new Coca-Cola Freestyle fountains are touch screen operated, enabling consumers to select from more than 100 regular and low-calorie beverage brands – including more than 60 diet, low-calorie and caffeine-free beverages, as well as many varieties of waters, sports drinks, lemonades and sparkling beverages that, prior to the arrival of Coca-Cola Freestyle, were not available in the U.S.
Paramus’ Moe’s will offer Moe Monday: $6.59 for any burrito, chips and a drink all day every Monday. Sundays are Kid’s Eat Free Day with the purchase of an adult entrée. For customer convenience to-go parking is available. Moe’s in Paramus will be open Monday through Saturday from 10:30 a.m. until 11 p.m. and Sunday from 11:30 a.m. until 9 p.m. For more information guests may call 201-262-0591 or to place a catering order call 1-855-KNOWMOE. Naples, Fla. (December 8, 2011) – “Welcome to Moe’s!” is now being heard throughout Coastland Mall Food Court since Moe’s Southwest Grill opened at 1900 Tamiami Trail North. This location offers a Moe Monday special from 3 p.m. until close which includes any burrito, chips, salsa and a regular drink for only $5.99. On Thursdays Kids 12 and under eat free with the purchase of any adult meal. Mall employees can enjoy a 10% discount every day. Moe’s in Naples will be open from Monday through Saturday from 11 a.m. until 9 p.m., and Sunday from 12 p.m. until 6 p.m.
Sandy Springs, GA (November 28, 2011) – “Welcome to Moe’s!” will soon be heard throughout Sandy Springs when Moe’s Southwest Grill opens at 6090 Roswell Road on Friday, December 2. This location will offer a Moe Monday special which includes any burrito, chips, salsa and a drink for only $5.00. Moe’s in Sandy Springs will be open Sunday through Monday from 11 a.m. until 9 p.m. For more information guests may call 404-459-7340or to place a catering order call 404-844-9101. Melbourne, Fla. (November 22, 2011) – “Welcome to Moe’s!” will soon be heard throughout Melbourne Square Mall Food Court since Moe’s Southwest Grill opens at 1700 West New Haven Avenue on November 25. This Moe’s Southwest Grill will be the twenty-fifth for franchise owner, Brad Chasteen, who plans to open more in the area. Guests can try the new Coca–Cola Freestyle® soda fountain. The sleek, stylish new Coca-Cola Freestyle fountains are touch screen operated, enabling consumers to select from more than 100 regular and low-calorie beverage brands – including more than 60 diet, low-calorie and caffeine-free beverages, as well as many varieties of waters, sports drinks, lemonades and sparkling beverages that, prior to the arrival of Coca-Cola Freestyle, were not available in the U.S.
Moe’s in Melbourne will be open from Monday through Saturday from 10 a.m. until 9 p.m., and Sunday from 12 p.m. until 6 p.m. For more information or catering opportunities guests may call 321-872-1099. Avon, IN (November 21, 2011) – “Welcome to Moe’s!” will soon be heard throughout Avon when Moe’s Southwest Grill opens at 9263 US Highway 36 on Thursday, December 1. A Gold Award winner of the 2008 Consumer’s Choice in Chains Awards, Atlanta based Moe’s Southwest Grill’s serves fresh made-to-order burritos and southwest fare in a fun and laid back environment. When you walk by Avon’s newest burrito joint the first thing you’ll hear is a familiar “Welcome to Moe’s!” It’s more than a greeting; it’s a way of life for the folks who customize each meal fresh to order right in front of the guest. Avon’s Moe’s will offer Moe Monday: $6.00 for any burrito, chips and a drink all day every Monday. Wednesdays are Kid’s Eat Free Day with the purchase of an adult entrée. Moe’s in Avon will be open from Sunday through Thursday from 11 a.m. until 10 p.m., Friday through Saturday from 11 a.m. until 11 p.m. For more information or catering opportunities guests may call 317-209-8557.